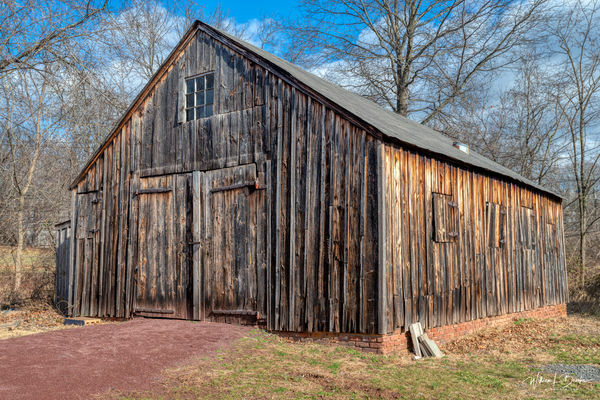 Cornelius Farley founded the blacksmith shop after he and his wife emigrated from Ireland. The shop consisted of an open wood framed one story building built around 1850. In 1961, the shop was lifted onto a flat bed truck and moved to the southern portion of Johnson Park in Piscataway, NJ. The building was fully restored and opened as a historical site. 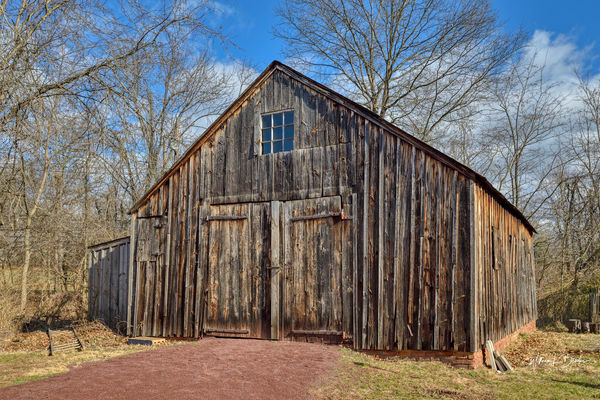 Love old barns..nice PP work. Bill, nice story and good photos to help visualize. Very well done, for some reason I prefer the 1st photo. Thanks Marty - glad you liked it. Thanks Bob - I appreciate your comments. East Olde Town is an interesting place, and I'll go back there when its a little bit warmer and less windy. Thanks Bultaco - glad you liked them. I took some different perspectives, and liked each but the first one was my favorite also. Thanks John - glad you liked them. Thanks Jim - I appreciate your comment. Thanks Longshadow - glad you liked them. Like the way you captured the character of this beautiful old structure!! Thanks jederick - I appreciate your comments. I had seen a picture of this old Balcksmith shop and searched online for more info. I'm not sure why, but I just love these old buildings.